Brig. Gen. (Ret.) Sheike Horoweitz has 35 years of experience in Israel's war against terror. He managed leading operations within the Israel National Police including the Bomb Division, Security Division and Operation Department. 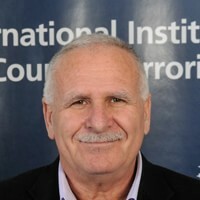 Sheike was the advisor to the Prime Minister's Office as part of the Israeli National Security Council and administrated national programs such as: Safe Cities and Municipal Policing under the Minister of Public Security. Brig. Gen. (Ret.) Horoweitz specialized in planning and management of large scale programs. Provided guidance to public and private companies on various subjects: personal security, infrastructure security installation, security concepts, training, security technologies, exercises, control and supervision.